A mobility scooter can cause a lot of damage to the user or to other people if it collided with someone or something. 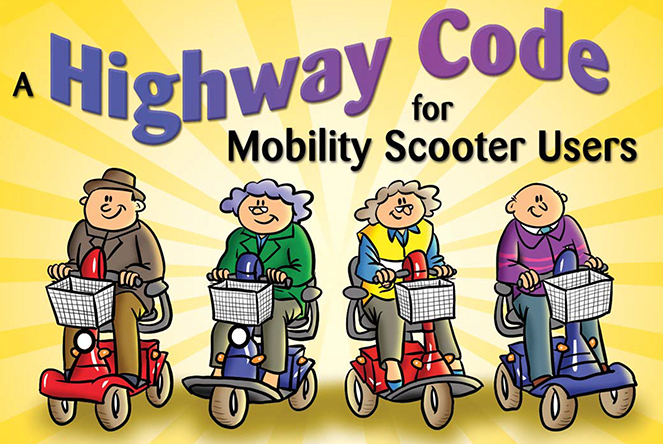 The government have written this highway code to protect the safety of people who use electric mobility scooters and the safety of the other road users and pedestrians. If you ride a scooter, you must follow this highway code whether you ride on the pavement, footpath or on the road. You are responsible for your own, and other people’s safety. If you are using a powered vehicle for the first time, or if it is a while since you have driven on the road, we strongly advise you to go on a training course or contact us for advice. 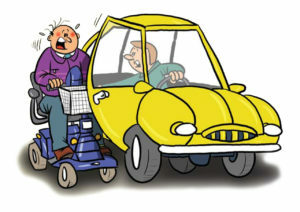 Three types of ‘invalid carriage’ are defined in ‘The use of invalid carriages on highways regulation 1988”. These are suitable for riding on the road, and have a top speed of 8 miles an hour (12 kilometres an hour) and must no weight more the 150kilograms without the driver and any load. These also have a switch to limit the top speed to 4miles an hour (6kilometers and hour) on pavements or footpaths. A Class 3 Vehicle is not legally defined as a motor vehicle and the users do not have to have a driving licence or take a driving test. 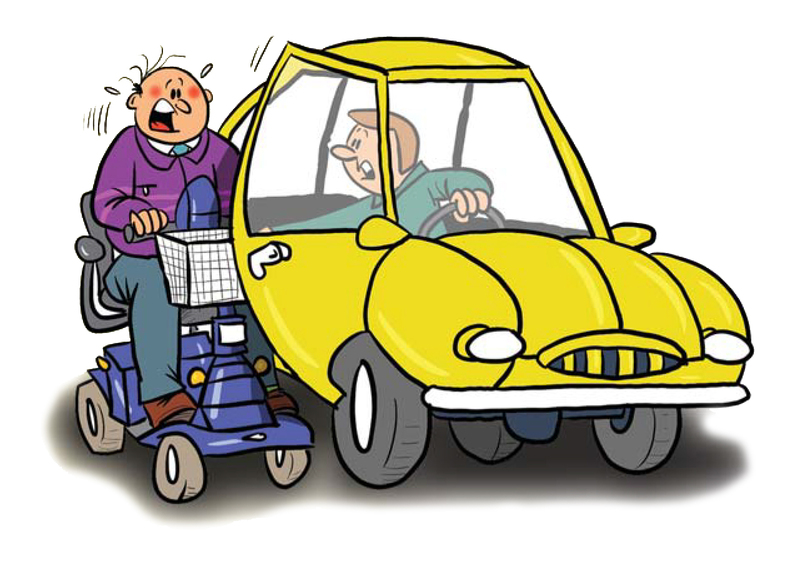 However, a Class 3 Vehicle can only be used by a disabled person aged 14 or over, or by an able-bodied person who is demonstrating a vehicle before selling it, training a disabled user, or taking a vehicle to or from a place for maintenance or repair. Class 1 & Class 2 invalid carriage do not have to be registered with the Driver and Vehicle Licensing Agency (DVLA) You must register a Class 3 vehicle with DVLA and licensed in the disabled taxation class. There is no fee to pay and the vehicle does not need to show or have registration plates. To register a license a Class 3 vehicle you should fill in form V55/4 (for new vehicles or V55/5 (for used vehicles) and send it to the DVLA. Guidance on filling in the forms is given I the DVLA’s leaflets INF210 and INF211 which is available from post offices and at www.gov.uk/mobility. Make sure that you get a scooter that is appropriate for your needs. Please visit one of our showrooms or give us a call and we will discuss and advise you on what is the best product for your needs. Make sure that you know what all the switches and levers on your scooter do, and that you can control it properly before you go out on it. Make sure that the scooter is properly maintained. We can offer a servicing service to make sure your product is thoroughly checked and will advise you on our findings. Keep the battery fully charged and get to know how far your scooter can go before it will need recharging. Remember that the distance you can travel will depend on the condition of the battery, the weight you have on the scooter and the kind of route you will follow. Cold weather, travelling on rough surfaces and travelling up hills will use more power and reduce the distance you can travel. Although you do not have to be insured by law, we strongly recommend that you have at least third-party cover. It is also a good idea to be covered for fire, theft and damage. The most direct or the shortest route will not always be the best route to take. Steep hills, high kerbs or other obstructions may make it impossible to tackle certain routes. Do not use your scooter if you have been drinking alcohol or taking drugs. Check the patient information on any medication your doctor prescribes or which you buy over the counter. 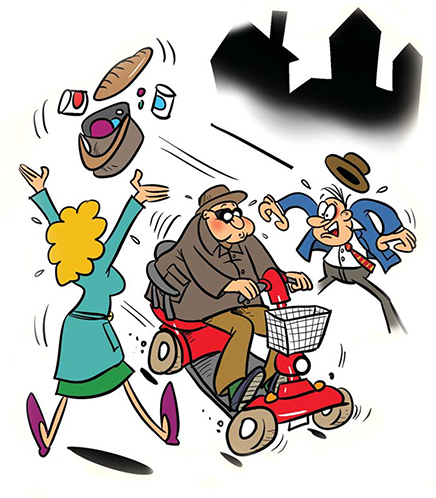 If the information says the medication could cause drowsiness, don’t use the scooter. See and been seen! If you are using anything to protect you from the weather, make sure that it does not restrict your vision. Wear fluorescent materials or have fluorescent markings on your scooter and put your lights on to help other road users see you. Do not wear loose-fitting clothes. Make sure any belts or scarves are tucked away so they can’t catch in any of the wheels. Do not carry or lead a pet while you are on your scooter. Even trained and well-behaved animals can be unpredictable and could cause a crash. Don’t overload your scooter with shopping or other goods as this could make the vehicle unstable. Do not have anything hanging from the handlebars as this will make it more difficult to control the scooter. Be careful when going up and down kerbs. Always approach at right angles and do not go up and down kerbs higher than recommended for the type and size of wheels. Wherever possible, use a crossroad where there is a dropped kerb. Always be aware of pedestrians and road users. Pedestrians may not see or hear you approaching them, especially from behind. Look carefully before you move off or change direction. When riding on pavements the top speed is 4 miles an hour. Only Class 3, 8 miles an hour scooter are allowed on the road but please remember that you are not driving a car but a very small, slow and vulnerable vehicle. Class 3 products are not allowed on motorways, bus lanes or cycle tracks. When you are passing parked cars, look out for doors opening. 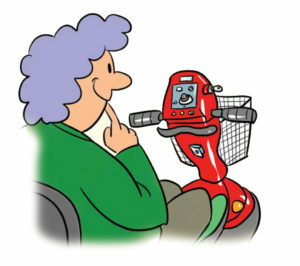 Do not park your scooter where it would cause an obstruction and make it difficult for others to use the pavements or the road.